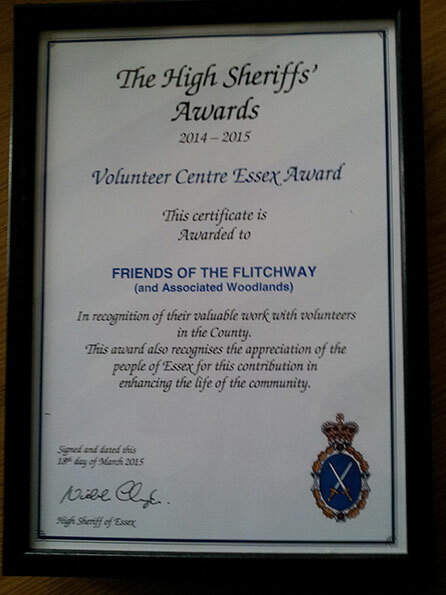 On 18 March 2015 our Chairman Stan Davies representing the Friends of the Flitch Way was awarded the High Sheriff's Volunteer Centre Essex Award for 2014 - 2015. 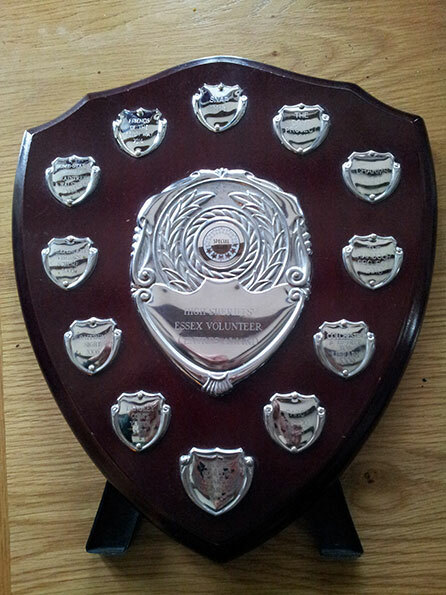 The award was made by the High Sheriff and recognises voluntary organisations in Essex which provide a high standard of encouragement, support , training and supervision to their volunteers and we are extremely proud to have been chosen from the six short listed charities to receive this award. We were also given a donation of £1000 to be spent at the discretion of our trustees and in line with our charities' objectives. 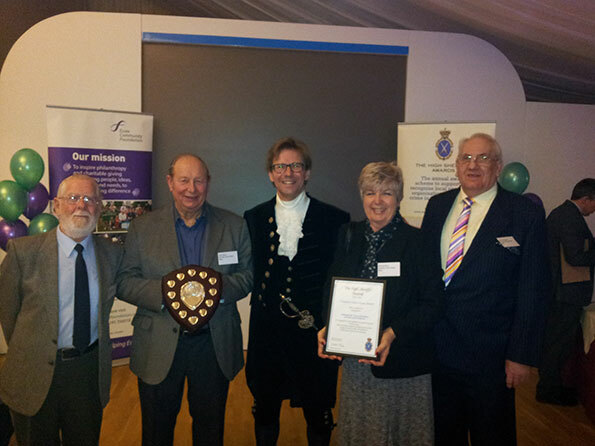 From left to right Stan, John, the High Sheriff, Wendy and Gordon at the award ceremony at Hylands House Chelmsford.